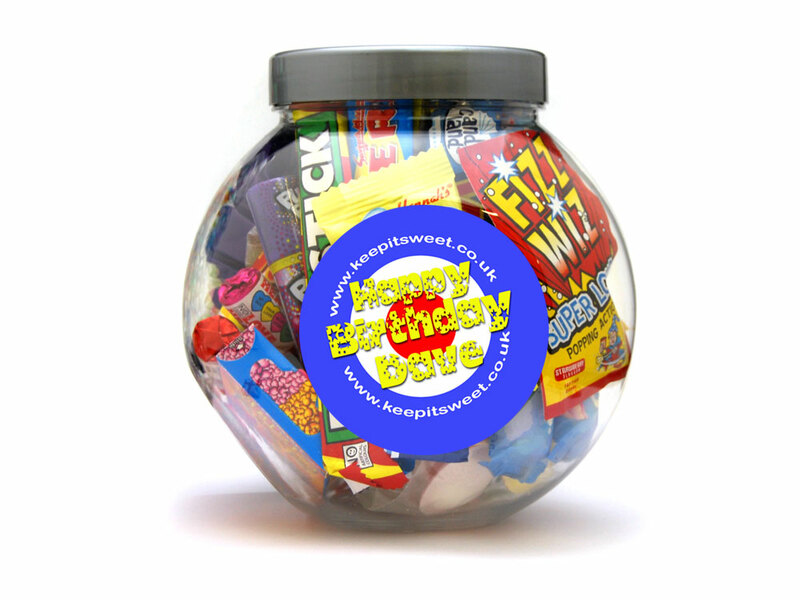 Personalise this 3ltr jar of fantastic retro sweets with your own message. 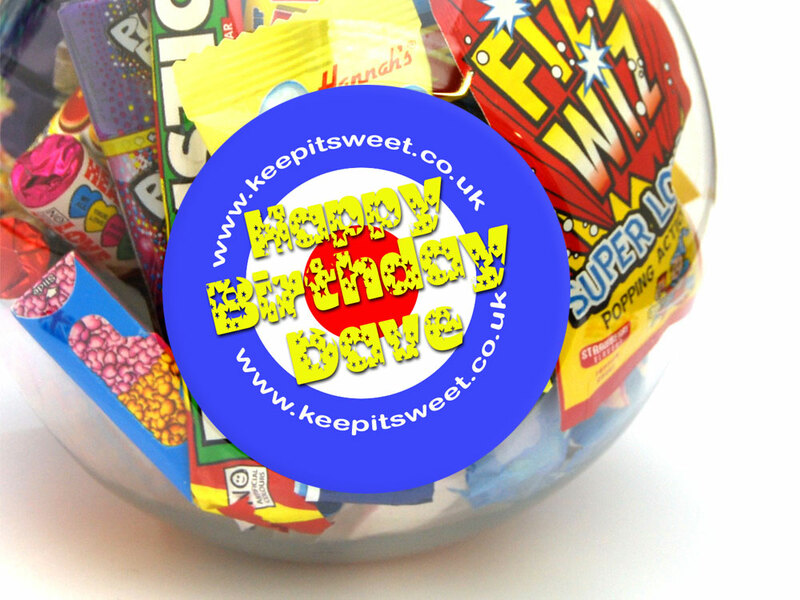 Sherbet Fruit: sugar, glucose, citric acid, vegetable oil, sodium bicarbonate, flavouring, colours: E104, E102, E110, E142, E133, E129. E102, E104, E110, and E129.